Janet Starr Hull, PhD, CN has a very diverse background with academic degrees and experience in geology, international geography, environmental science and toxicology, higher education, and holistic nutrition. She is an OSHA Certified Environmental Hazardous Waste Emergency Response Specialist and Toxicologist, author, Environmental Engineer, artificial sweetener expert, and former firefighter. Dr. Hull was one of the first Americans to work on the remediation of the former Soviet Army bases in Eastern Europe after Glasnost, and currently teaches Environmental Science and Natural Disasters at Texas A&M University. A much sought-after speaker, Dr. Hull has addressed such distinguished audiences as members of the European Union and British Parliament. She has granted hundreds of radio and television interviews, such as NPR, 20/20, 60 Minutes, Good Morning Washington, and Good Morning New York concerning the dangers of toxic food chemicals. Her work is recognized by millions worldwide concerned about the safety of food chemicals and environmental toxins. Her 10 Steps To Detoxification program has been featured in Woman’s World magazine. Dr. Hull’s Earth Expansion Theory and interview with Michael Edward (Michael Edward Welcomes Dr. Janet Starr Hull – The Earth Expansion Theory in the Gulf of Mexico is currently generating top page views, and Google requested to promote her vimeo in their main search engines. Dr. Hull lives on a wildlife sanctuary in Northeast Texas where she and her youngest son founded a 501c3 charity organization for the protection and repopulation of endangered tortoises, birds, and endangered wildlife from around the world. Read more about Dr. Hull’s Tortoise Sanctuary. Dr. Hull’s new book, The Sixth Species: Are Humans On The Brink Of Extinction? is currently under query through The Jeff Herman Literary Agency. The Sixth Species could not be a timelier book because the increase in natural disasters has heightened awareness that the Earth is changing; people need to understand why. Our energy grid is antiquated, our world leaders are immersed in global corruption, and future development is going down the wrong road. People worldwide are searching for ways to safely move into the future. “In 2010, the worst flooding in 1,000 years inundated our planet. Today, the remote Pacific island of Kiribati is slipping into the ocean, and evacuation plans have begun. We are entering a period of extreme volcanism. Strong earthquakes have begun shaking the globe, and they will intensify as the energy rises. Greater Tokyo, home to 35 million tightly packed people, has experienced a three-fold increase in earthquake activity since the March 11, 2011 magnitude 9.0 earthquake unleashed a killer tsunami over Japan. The Earth’s magnetic field is failing and moving toward a polarity reversal. The planet’s climate is shifting, and tornado cluster outbreaks are increasing in intensity; the global wind currents have changed due to polar axis shifting. Our oceans are heating up, and countless aquatic animals are washing ashore. Dr. Hull has an established presence on the Internet and in the media. Her primary marketing and promotions are done through her Internet companies. She has a web team maintaining her websites and performing her web marketing for all of her projects. In 1997, Hull exposed the dangers of aspartame in her book, Sweet Poison: How The World’s Most Popular Artificial Sweetener Is Killing Us – My Story. Her professional reputation and international presence as an artificial sweetener expert and author has produced Top 10 Internet rankings in the major search engines, and generates over 100,000 page views to her sites daily. Hull has published hundreds of Internet articles on the dangers of artificial sweeteners and their impact on human health. Dr. Hull published a monthly Healthy Newsletter, which has now transitioned into a Healthy News Blog. 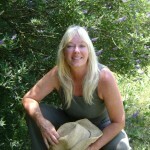 She publishes the ExtinctionTheory Blog, and is on Facebook and Twitter.